Who is the New Mystery Avenger? Now that we have seen forty-five of the new Marvel series coming this fall, we are going through all the different teams to see who was shuffled where. The Uncanny Avengers, while not the flagship of Marvel because it is not the primary Avengers title, will certainly be an important part of the integrated All-New, All Different Marvel Universe. The team itself includes Spider-Man, Steve Rogers, Brother Voodoo, Quicksilver, Rogue, Inhuman Inferno, and Deadpool, even though he died in recent months. That list still leaves one character left from the first issue image that we do not seem to be able to easily identify, and most publications and blogs are still having trouble. Is this a new character altogether? This would make sense as Marvel is trying not to add characters to X-titles as much because of the movie licensing difficulties, so new characters would likely go to one of the Avenger teams due to its movie freedom. The woman with a purple cape, a ninja-like mask, and the large red circle on the front chest, has yet to be identified. The costume design suggests she may be a Japanese character, and some people have additionally wondered if it is actually a masked Quake. 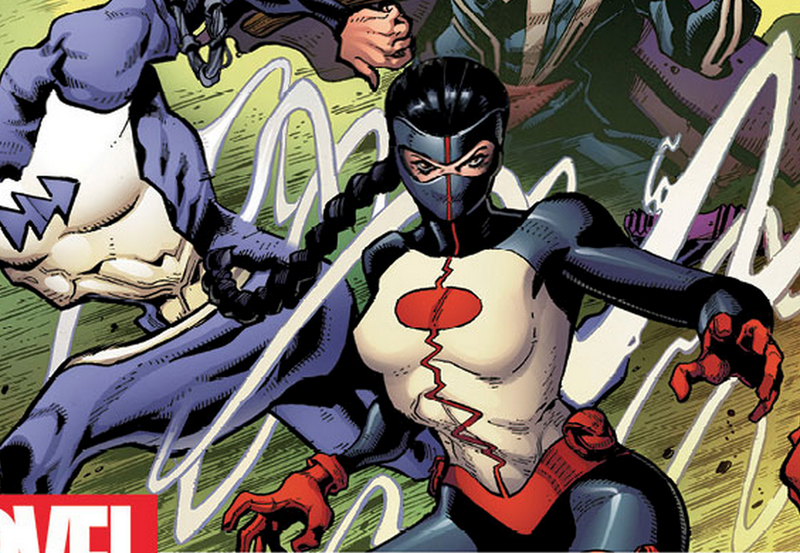 If this is a new character, it is likely smart that Marvel is keeping it to just one side character in a non-primary team. Marvel readers are not notorious fans of change, so you have to keep any progression to baby steps.